The helicopter made a banking pass over the ITER site, then another, and another, as the Prince took in the vista of substantial construction progress made since his last visit. 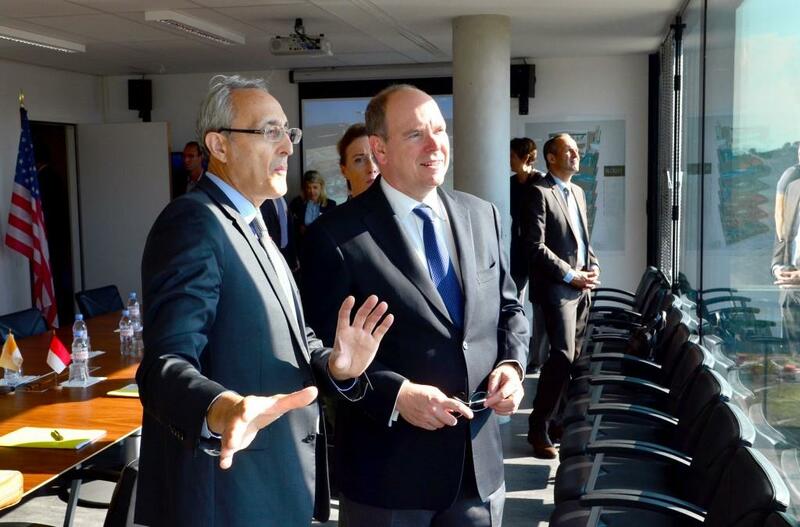 At precisely 10:00 a.m. on Wednesday, 21 September, the helicopter of His Serene Highness, Prince Albert II of Monaco, touched down at the Château de Cadarache, beginning a visit that would reintroduce him to the reinvigorated ITER Project and underscore the benefits of the Monaco-ITER partnership. H.S.H. 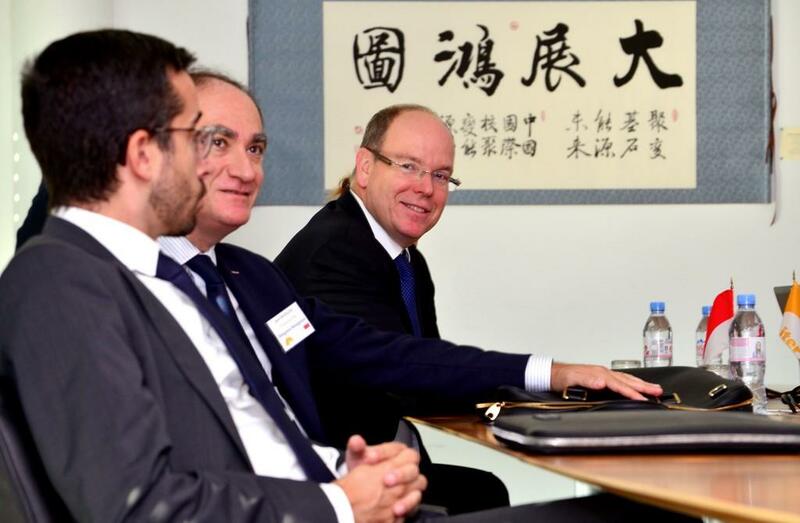 Prince Albert II of Monaco, who first came to ITER in January 2010, paid a second visit on Wednesday 21 September. The day was full of highlights. In a symbolic nod to the history of fusion, the group was able to connect via live link with GOLEM—the world's oldest tokamak still in operation, now housed in a research facility in downtown Prague. After the temperature, pressure, and power parameters had been set, the Prince watched as a plasma pulse was generated and, a few minutes later, the data results appeared onscreen. Each pulse is individually named; GOLEM now proudly bears a 10 millisecond "SAS Prince Albert II" on its record books. ITER Communication also used the occasion to demonstrate for the Prince a new virtual tour under development. 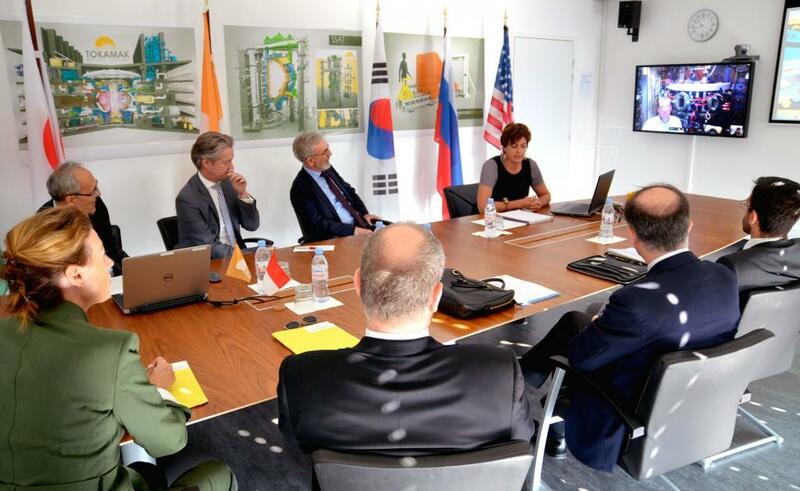 Using this web-based tool, ITER stakeholders such as Monaco will be able to keep abreast of construction progress. The virtual tour features immersive 360° drone videos at dozens of points on the worksite, which will be updated every few months. The site tour itself was a high point. The group made its first stop at the winding facility where qualification activities are underway on the production line for poloidal field coils 2 and 5. H.S.H. 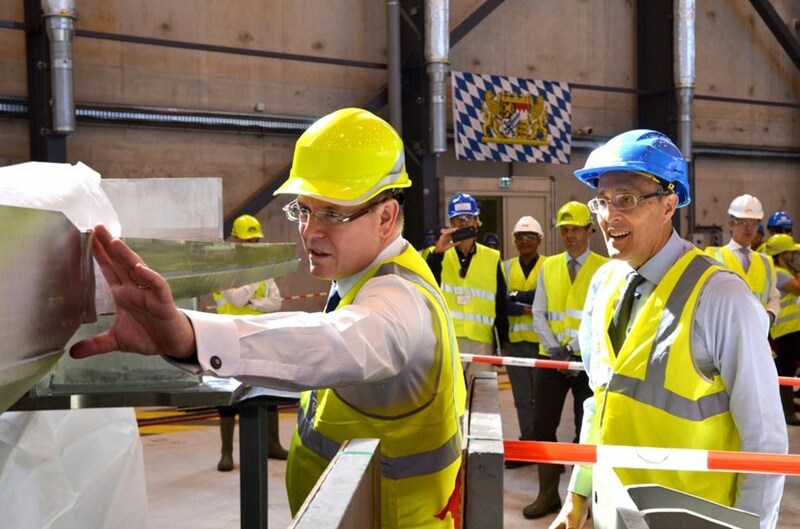 Prince Albert II took the opportunity to see first-hand the weight and dimensions of the niobium-titanium cable-in-conduit that will be wound into these ITER magnets. Next up was the Cryostat Workshop, where the Prince climbed a platform to view the complex "over-and-under" welding operation underway on the cryostat base. 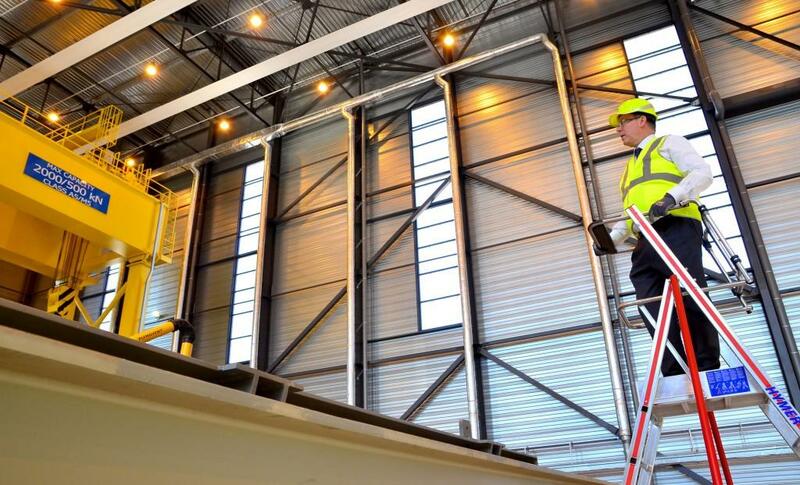 At the Assembly Hall, Director-General Bigot explained the sequential array of purpose-made tools for assembling the immense components into a functional machine. At the final stop, overlooking the Tokamak Pit, the ITER Director-General and H.S.H. Prince Albert II gave a brief interview to Monaco TV, which can be viewed here. 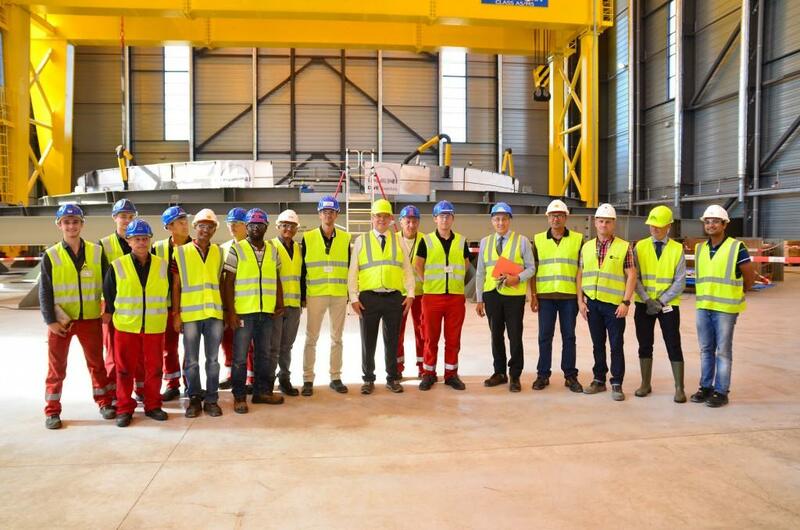 Perhaps surpassing all parts of the Prince's was his meeting with ITER's Monaco Fellows: post-doctoral students whose research at ITER is funded by Monaco's generosity. Four of the current fellows briefly presented their areas of scholarship, from plasma control and tokamak structural monitoring to the SOLPS simulation code and the behaviour of tungsten under high heat flux. 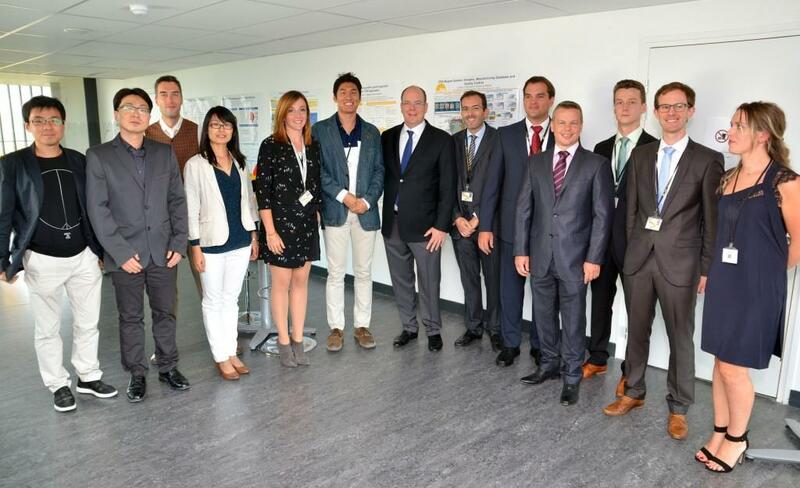 The meeting included numerous fellows from previous years, who have gone on to become ITER engineers and scientists. 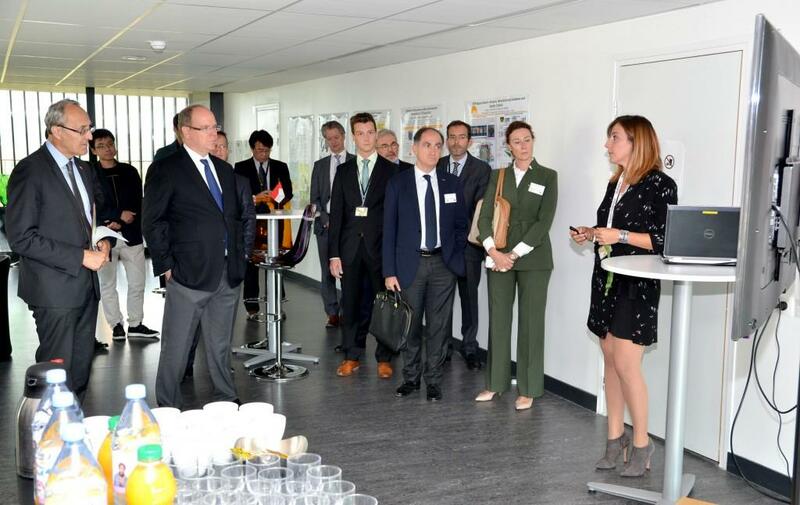 Both the Director-General and the Prince reflected on the important role of the Monaco-ITER partnership in creating the next generation of ITER leaders. The bay windows of the Director-General's conference room offer one of the best views of the ITER worksite. Visitors never fail to be impressed. One of the first tokamaks ever built, GOLEM, now at the Czech Institute of Plasma Physics, is used as a training device for fusion students. From ITER, H.S.H. Prince Albert II of Monaco remotely launched a 10-millisecond plasma pulse that was entered into the machine's records books under his name. A smiling Prince and an auspicious Chinese calligraphy. Offered to ITER by the Chinese Domestic Agency, it reads: "To successfully realize a bright and ambitious future." The Partnership Arrangement signed in 2008 between the ITER Organization and the Principality of Monaco provides for up to five Postdoctoral Fellows to be appointed every two years. Four generations of Monaco Fellows pose here with the Prince. Standing with the Prince in the Cryostat Workshop, a truly international team: representatives of the Indian Domestic Agency, responsible for the welding of the cryostat; members of ITER Vessel Section/Division; welding specialists from German contractor MAN; and work safety responsible officers. The best way to see the welding work underway on the cryostat base is to ... climb above the floor of the workshop. 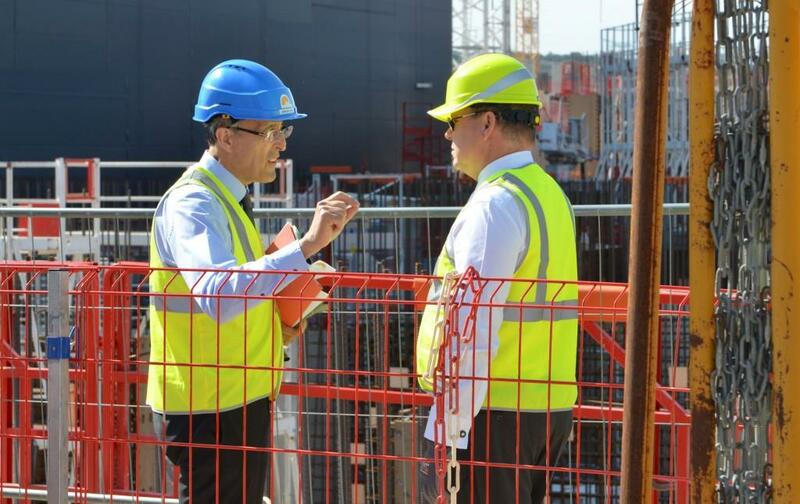 At the viewpoint overlooking the Tokamak Complex worksite, ITER Director-General Bernard Bigot describes one of the many challenges of building ITER: assembling components the size and weight of those found in shipyards with clockwork precision.